The world’s first iron bridge was erected over the River Severn in 1779. Costing over £6,000 it finally opened on New Years Day 1781 and was in consistent use until 1934 when it closed and became a designated Ancient Monument. 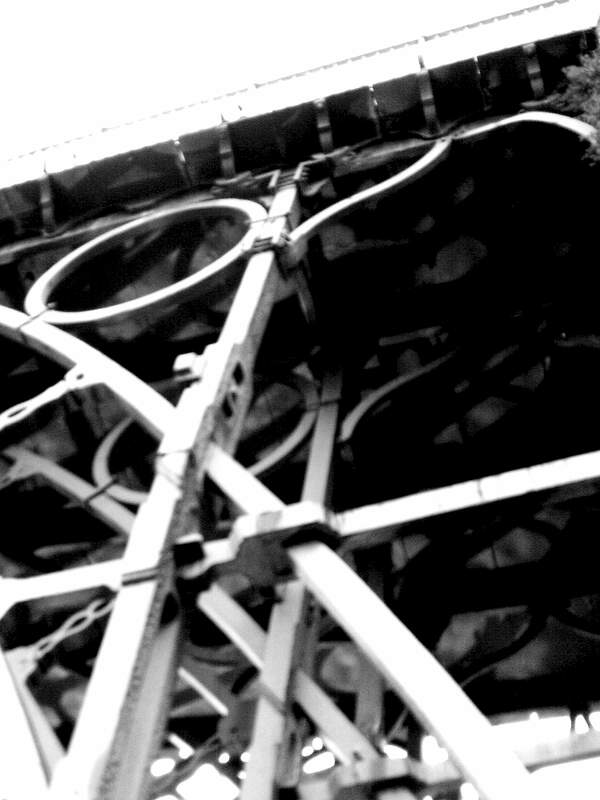 The bridge, which has since become Britain’s best-known industrial monument, gave its name to the spectacular wooded gorge around it. Though now tranquil it was once an industrial powerhouse and played a major role during the Industrial Revolution. At the beginning of the 18th century, using his Coalbrookdale foundry, Abraham Darby I pioneered the process of using coke made from local coal to smelt local iron ore. This technique allowed for the much cheaper production of pig iron but industrial expansion was hampered by the lack of a bridge over the Severn, which had to be a single span to allow for barge traffic. 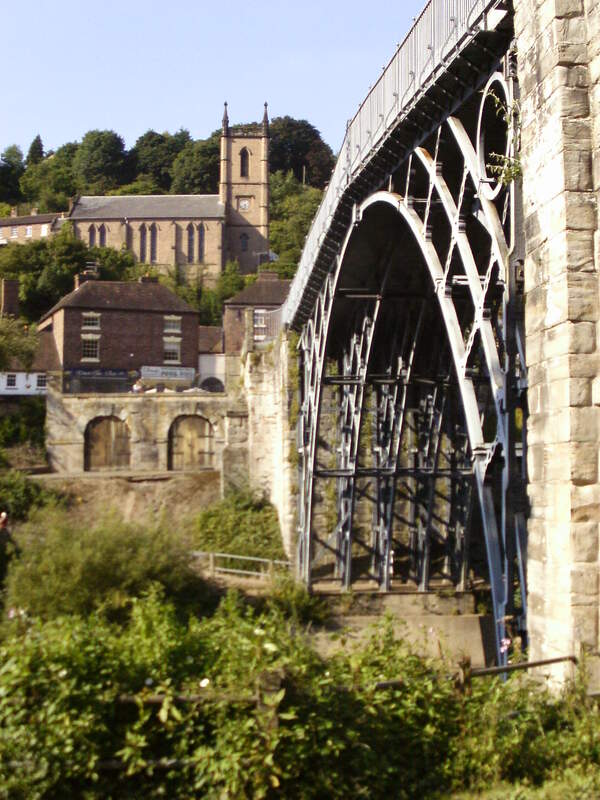 An iron bridge was first suggested by the Shrewsbury architect Thomas Pritchard who put forward a design for a single bridge span 30 metres long. Unfortunately he died as work was beginning and the project was then taken over by the grandson of the foundry owner, Abraham Darby III. 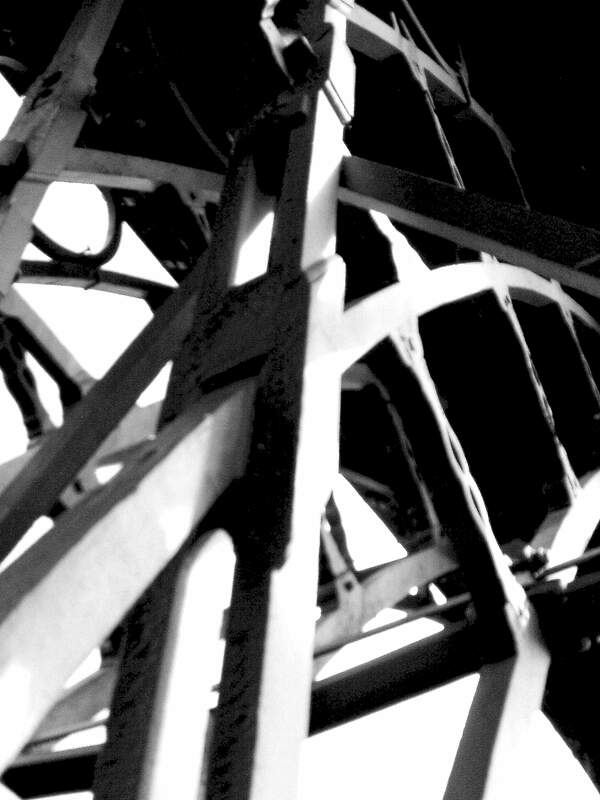 Using 378 tons of iron, the bridge was cast in the Coalbrookdale foundry where most parts were individually cast to fit, each being slightly different from the next, and that traditional woodworking-style joints were adapted to assemble them. It was an emphatic proclamation of the achievements of the Shropshire Ironmasters. 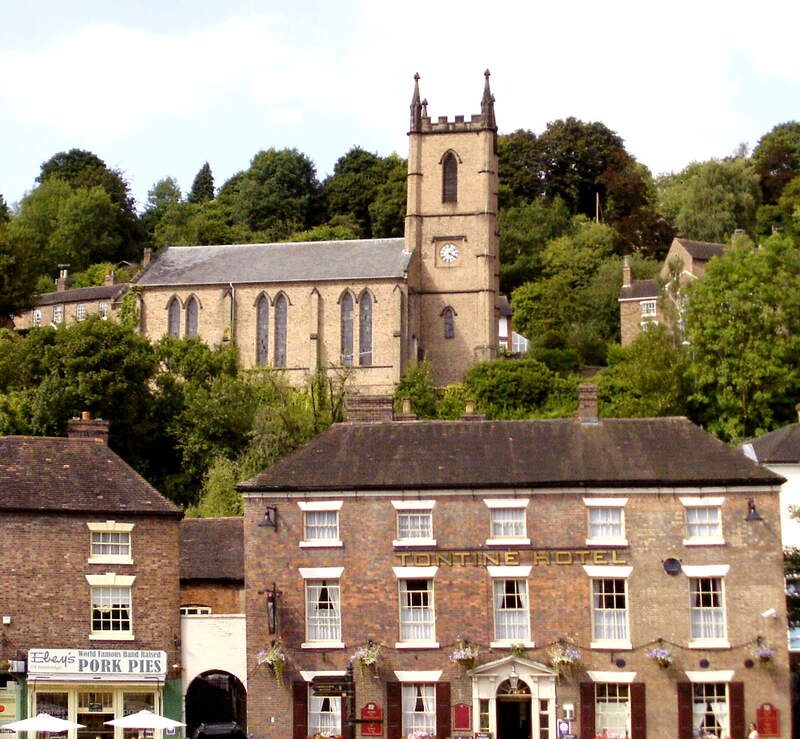 It has been described by those promoting it as a tourist destination as the birthplace of the Industrial Revolution. However, the industrial revolution did not begin in any one place or in any one industry, but in many over a fairly long period of time. Smelting iron by the Darby method was but one small part of this generalised revolution. 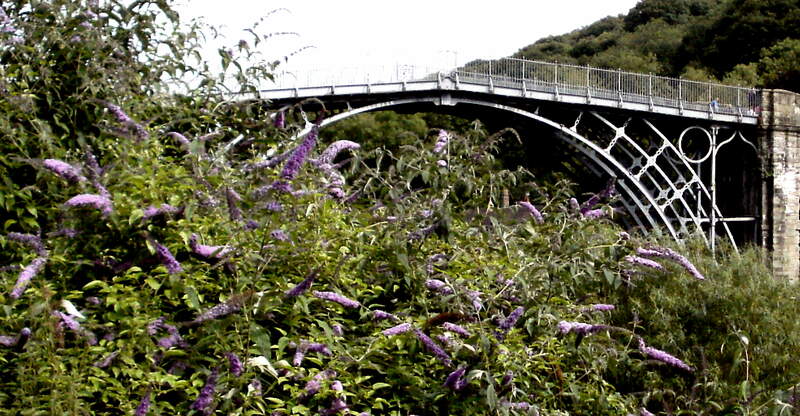 However, being the first of its kind fabricated from cast iron, and one of the few which have survived to the present day the bridge remains an important symbol of the industrial age. 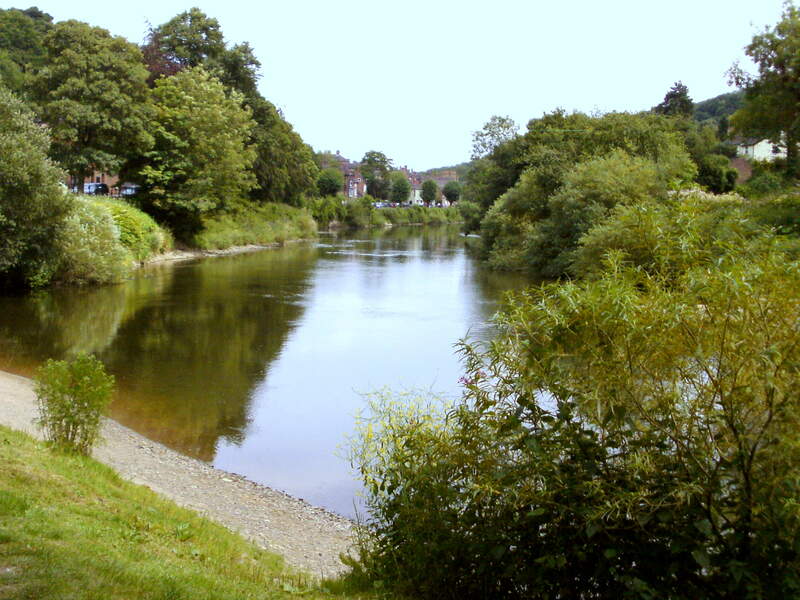 The Iron Bridge proprietors also built the Tontine Hotel (right) to accommodate visitors to the new bridge and the industrial sites of the Severn Gorge. 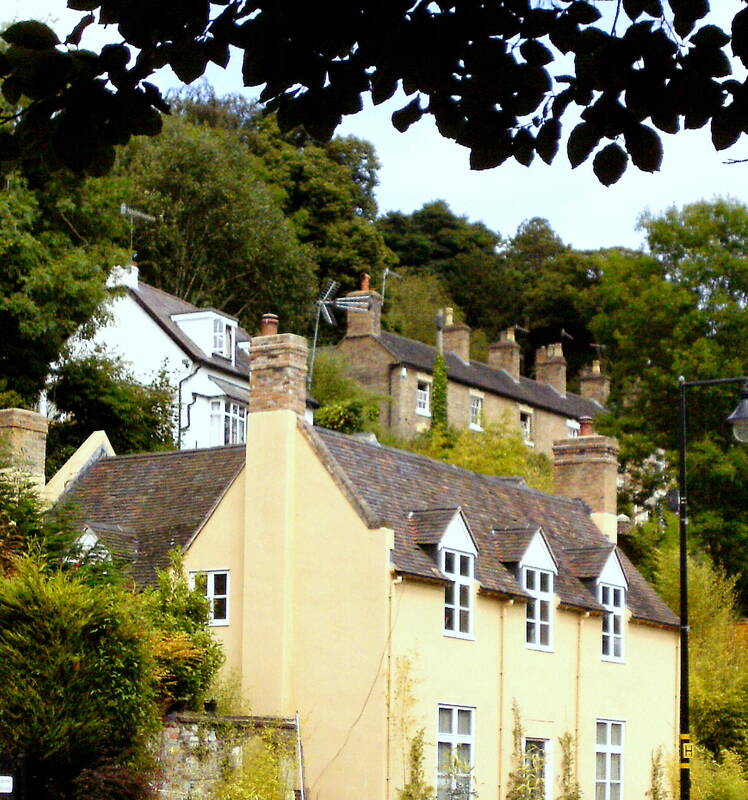 On the hillside above the river are situated many 17th and 18th century workers cottages, some imposing Georgian houses built by the ironmasters and many early Victorian villas built from the various coloured bricks and tiles of the locality. St Luke’s Church, (above) built in 1837 has stained glass by David Evans of Shrewsbury. 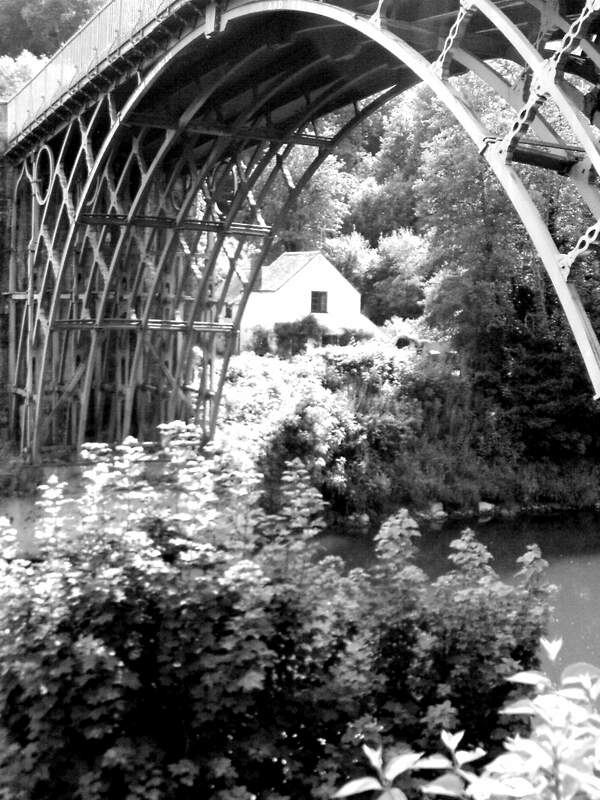 Ironbridge has an annually recurring problem of flooding from the River Severn, as do many other parts of Shropshire. 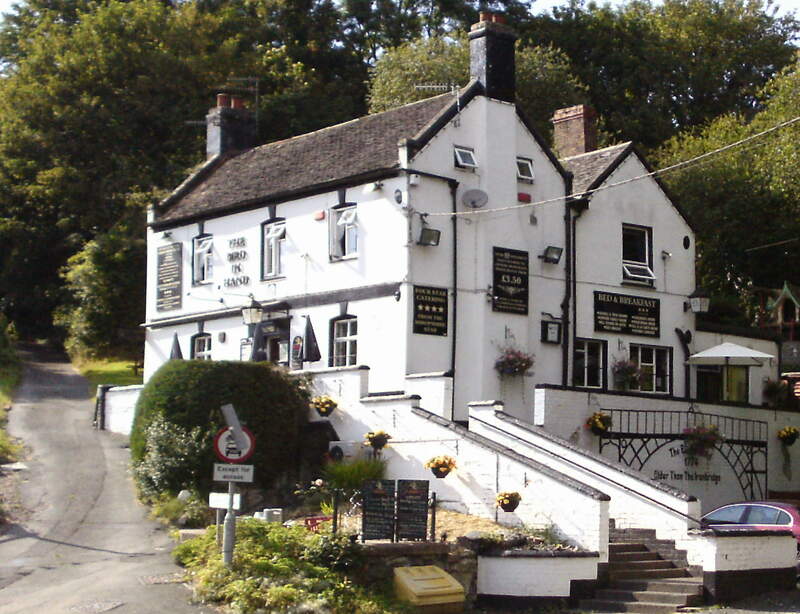 Flooding has previously caused much damage and disruption to the Wharfage, the Swan and White Hart pubs, and various private homes. This entry was posted in Counties Of England, Industrial Revolution and tagged coke, Industrial Revolution, Ironbridge, Shrewsbury. Bookmark the permalink.